Convert the website visitors into customers by showing personalised messages based on the customer behaviour. You can show a 10% coupon in a popup or an action bar when the customer tries to exit your website or shop (it is called an exit-intent marketing). On product pages: Stop users leaving after viewing a product by sweetening the deal somehow (eg: coupon code). Cart abandonment: Reduce cart abandonment with a last minute offer or ask people to save their shopping list. 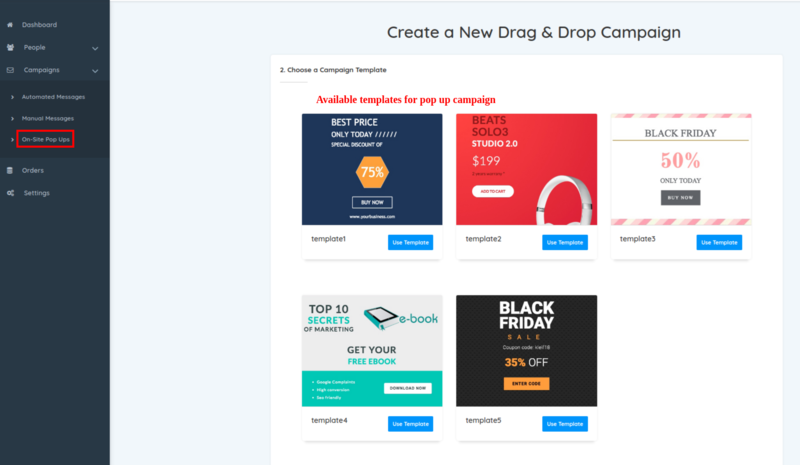 Landing pages: When your landing page message doesn’t quite work, exit popups provide one last chance to make an offer. Running discounts: People might be more willing to hand over their email address for a special offer that lasts a week, rather than forcing them to buy now. Price/availability alerts: When prices or availability often change (flights, properties, job positions, etc. ), offering alerts is a great way to get people involved with your brand. 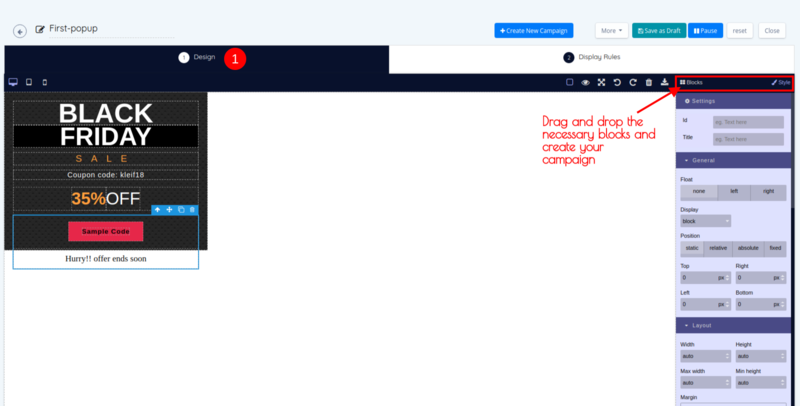 Campaignrabbit helps you create engaging exit-intent popups through its visual drag and drop editor and powerful behaviour targeting engine. Now, you can see the visual editor. You can add / edit / remove text, images, buttons and more. A popular exit-intent strategy is to show a coupon code with a discount when they try to exit. It motivates the visitor to buy. In the same step, you can also set up “Display rules” . And that’s all! You have successfully created your first on-site messaging campaign.